Spinal cord injuries are a life-changing event. Initially, we have to deal with the many stages of coming to terms with an injury. The physical and emotional pain that comes along with a loss of movement is not an easy thing to overcome. It takes time, and persistence, and the support of family and friends to begin to create a life that can still be fulfilling, and active. After your initial injury, you will have likely undergone some initial rehabilitation – but now you are home, and you’re wondering what to do next. A good place to start is to become educated on what a spinal cord injury actually does to the spine, and the rest of the body – as well as finding out what is happening in spinal cord injury research. There are a number of resources online that will do this, one of them being of course our Journey to a Cure video series. You can view the entire series here. With a good understanding of SCI and the science behind the current research, it is possible to become involved in the movement that is helping survivors regain function, improve secondary complications, and ultimately move the needle on cure research overall. 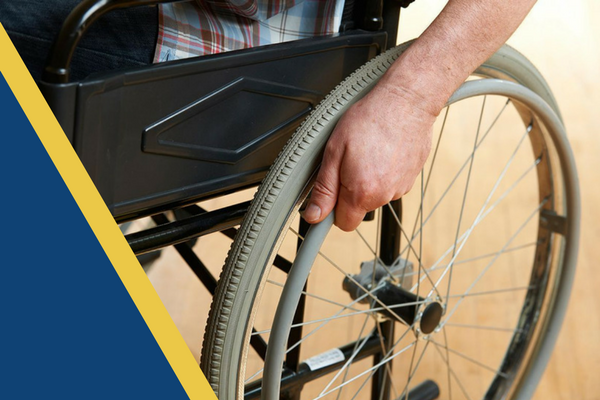 Secondary conditions are a subset of issues that can arise as a result of paralysis, and can range from mild, to painful, to life-threatening. Each of these conditions has its own challenges, and alleviating the stress and/or pain they cause is often a primary concern for many spinal cord injured people. Connecting with the clinical trial that might be right for you can often be a challenge. Our long-term goal is to create a registry of spinal cord injured people who are interested in hearing about clinical trials in their area, so that researchers can connect with those who are most interested in taking part. Additionally, we will be creating a space on our site for researchers to share their findings directly, and publish their research for our community members to see and give feedback on. This is an exciting time for research in the field of SCI, and we want to facilitate its progress in a responsible, and properly-informed way in order to connect all of the stakeholders in this journey together. When the time is right, you may feel that it is time to become more active in the SCI community – and lend your voice to the many already calling for a greater say in cure research and how it is being managed. There are many ways to advocate, either for yourself or on behalf of someone else – even something as simple as sharing the message across your social media network can create a greater awareness of the issues faced by those with spinal cord injuries, and what we are trying to accomplish. Larger commitments such as events in your local area, or even just meeting up with other advocates to discuss the issues and plan some outreach are also great ways to help the cause. Together we can make our priorities heard, and bring about the change we want to see, faster.